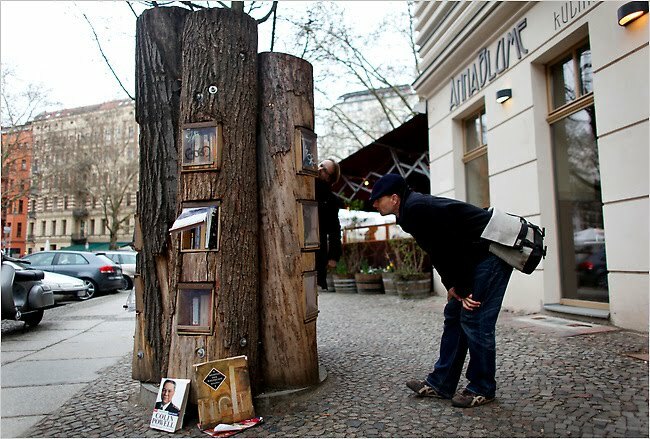 A “book forest,” where people can leave or find old volumes. Read the full NY Times article on Do-It-Yourself culture. Sorry, I couldn't resist some movie quoting fun. Side note, who amongst you is willing to build me this tree trunk bookcase?